ARLINGTON, Va., September 24, 2018	(Newswire.com) - ​Numeracle™, Inc., the pioneer of robocall blocking and labeling visibility in the calling ecosystem, and NobelBiz™, leading innovator in the contact center technology industry, announced today at the 2018 PACE Washington Summit, a collaborative engagement between the two companies to provide trusted local caller ID management solutions delivering enhanced brand protection and improved campaign performance. The Numeracle and NobelBiz intelligent local caller ID solution combines patented outbound calling technology with advanced data analysis on call delivery metrics to increase customer engagement by establishing a trusted local presence. By presenting a geographically familiar number to the calling party, this fully-compliant solution increases contact rates and call backs while also improving brand reputation by ensuring incoming calls to consumers are not incorrectly displayed as FRAUD or SCAM. Local caller IDs are registered across the network to improve successful call delivery by verifying the calling party’s identity as a trusted entity and minimizing the likelihood of an incorrect or fraudulent label being displayed to the consumer. Through the addition of risk rating analysis from Numeracle, NobelBiz’s patented automated number rotation is now able to identify and remove numbers flagged by robocall detection technologies as ‘high risk’ in order to preserve the favorable calling reputation of the call originator. By applying feedback from carrier analytics partners on changes likely to affect the status of a calling party’s number, Numeracle and NobelBiz are able to offer personalized insights into corrective strategies and mitigation techniques to enable improved reputation management and brand preservation. By utilizing best practices to improve call delivery while preserving customer satisfaction, this offering enables the call originator to minimize risk while maximizing return. “NobelBiz is excited to join together with Numeracle to offer enhanced local caller ID solutions to improve brand reputation and customer connectivity in the age of call blocking and labeling. Through our combined offering we’re not only able to deliver improvements to productivity and the achievement of success metrics, we’re also able to employ vital industry feedback to maintain and improve that performance in accordance with best industry practices,” said Ted Fortezzo, Executive Vice President, NobelBiz. To discover how Numeracle and NobelBiz can help you to convert more calls while protecting your brand, please visit http://nobelbiz.com/contact or www.numeracle.com/contact to get in touch. Numeracle, established to take action against the growing problem of unwanted and illegal robocalls, provides a single point of discovery into the new calling ecosystem to uncover a number’s entire journey from call origination to destination. By working together with carriers, analytics companies, device manufacturers, and the developers of call blocking and labeling apps, Numeracle provides visibility across all major stakeholders and delivers actionable control to the originators of legal and wanted calls. To learn more about our mission to return trust and transparency to the voice channel, please visit www.numeracle.com. NobelBiz is the leading innovator in the contact center technology industry. The company has grown to serve contact centers globally, providing world-class voice, cloud contact center and business intelligence solutions. NobelBiz transforms contact centers into higher-performing intelligent contact centers and helps take companies from ‘isolated cost center’ to ‘company-wide intelligence generator’ for customer service, sales, marketing, product development, and more. 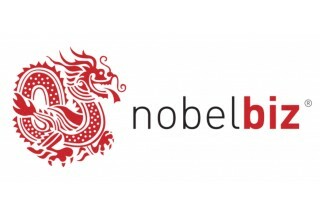 Visit www.nobelbiz.com to engage with us on our intelligent call center solutions. 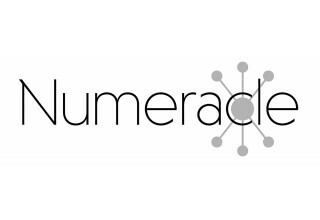 Numeracle is the pioneer of call blocking and labeling visibility in the calling ecosystem. Numeracle provides a complete end-to-end solution for the incorrect blocking and labeling of legal calls to help you re-establish trust with your consumers.